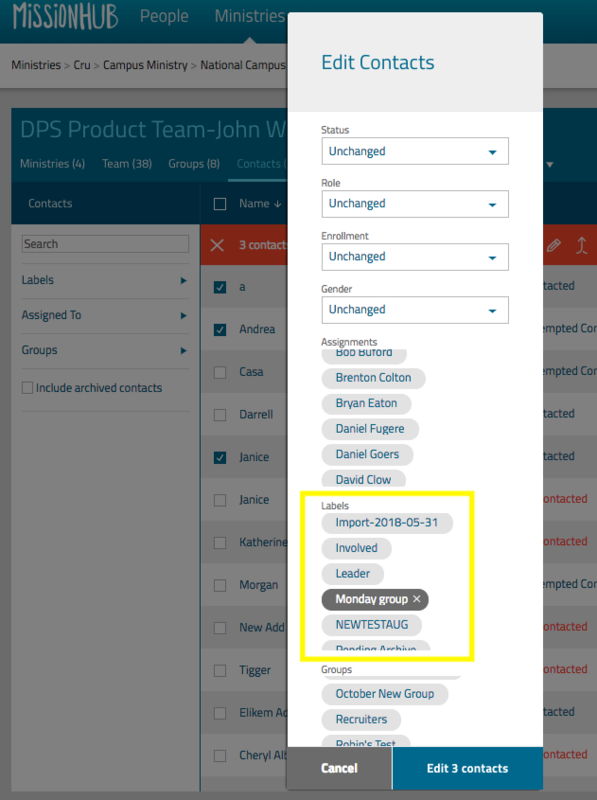 Labels help you create and sort permanent lists of contacts. 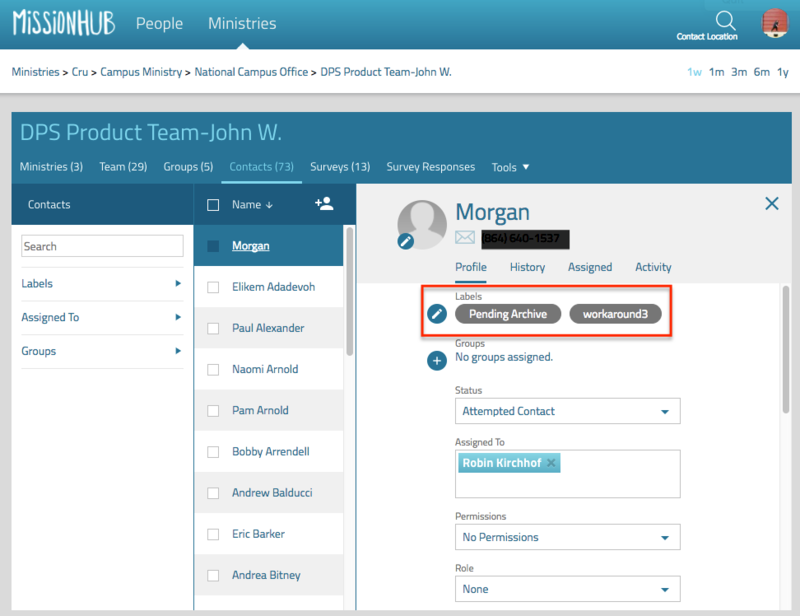 Labels will appear when you view all contacts and individual profiles. 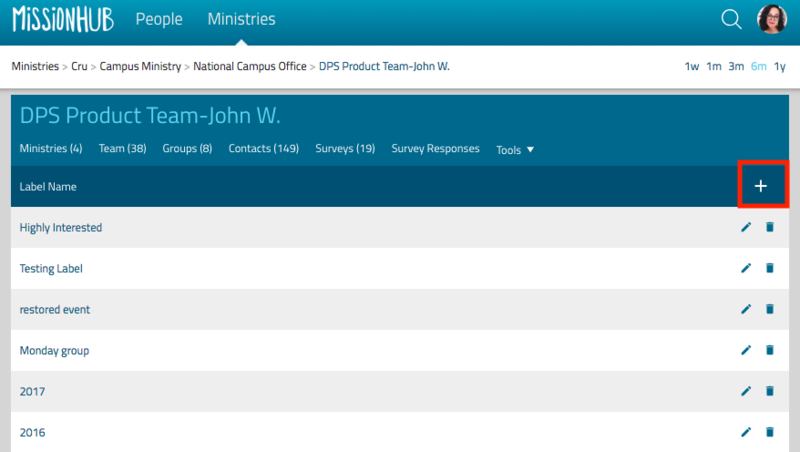 These can be used to easily identify contacts based on criteria that is most relevant to your ministry. 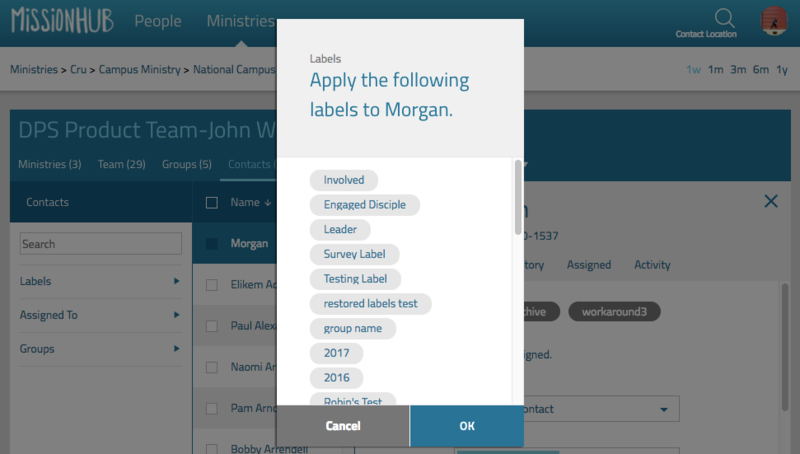 To manage labels, click on Ministries, hover over Tools, and select Manage Labels. Here you can add, edit, or delete specific labels as needed. 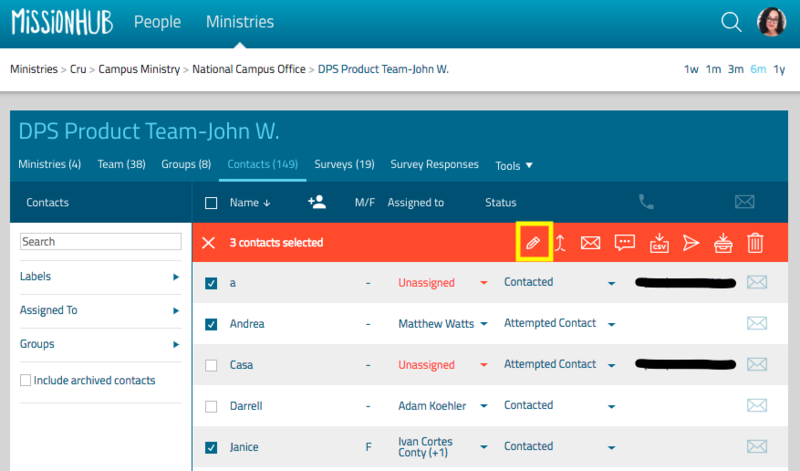 To add labels to more than one person, select checkbox to the left of their name, then select the Mass Edit icon in the orange action bar. 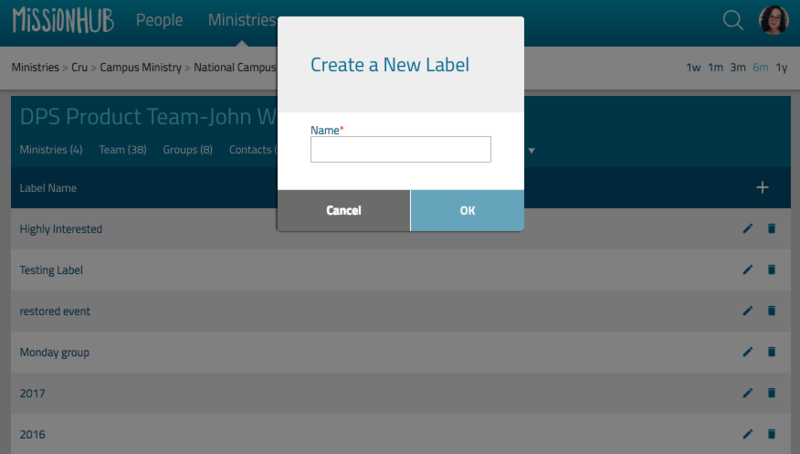 To add labels to one contact, simply select their name in the Contacts view. Select the edit icon for Labels, then choose which label(s) to add and click Save.